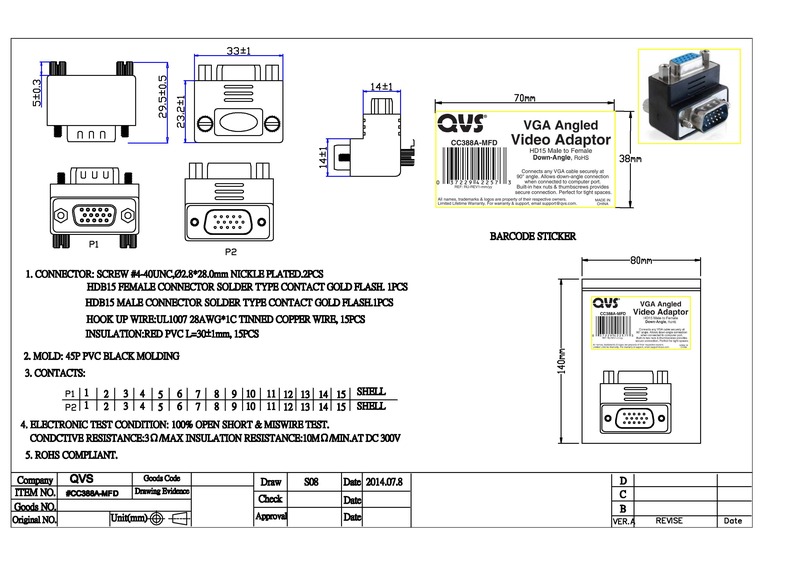 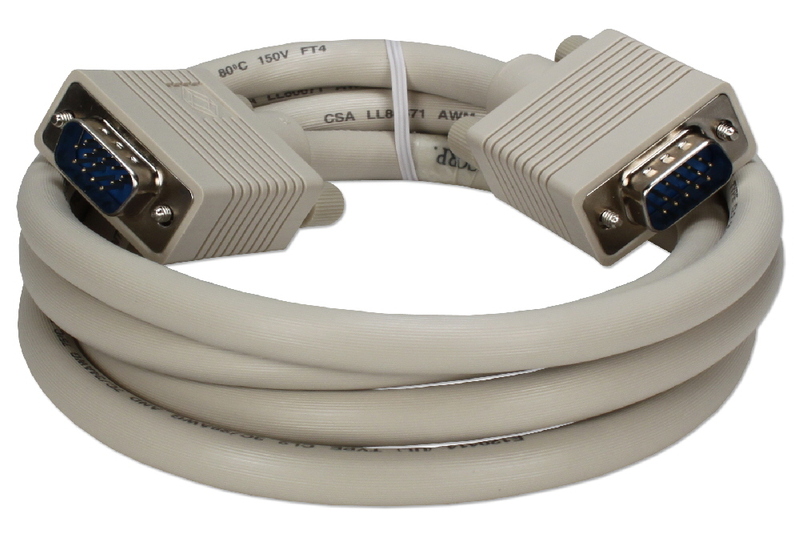 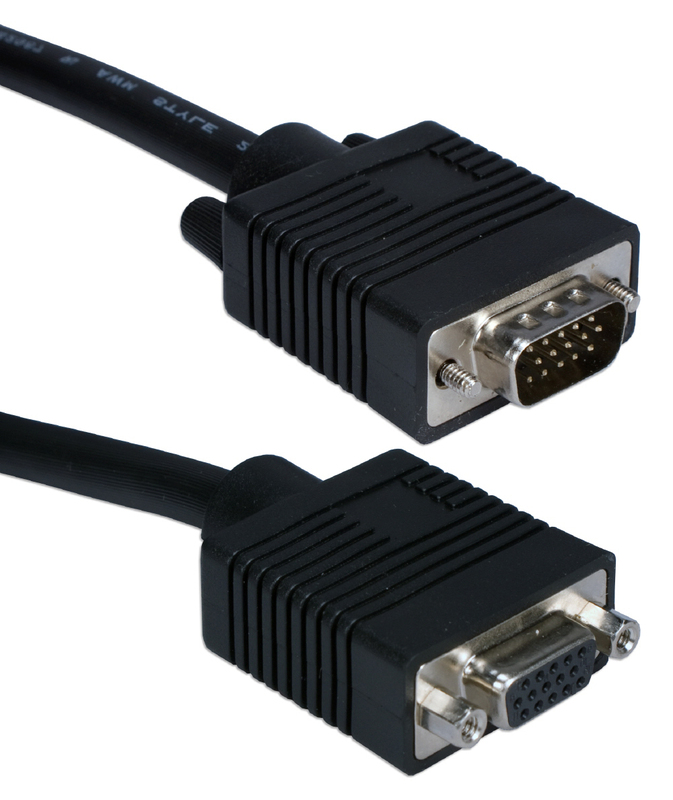 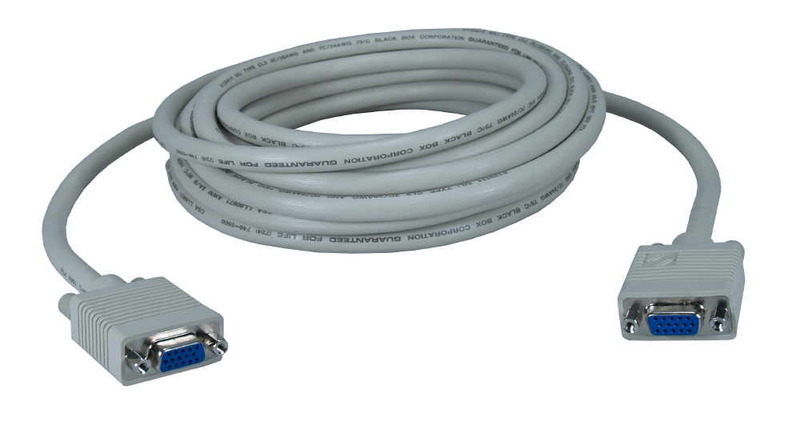 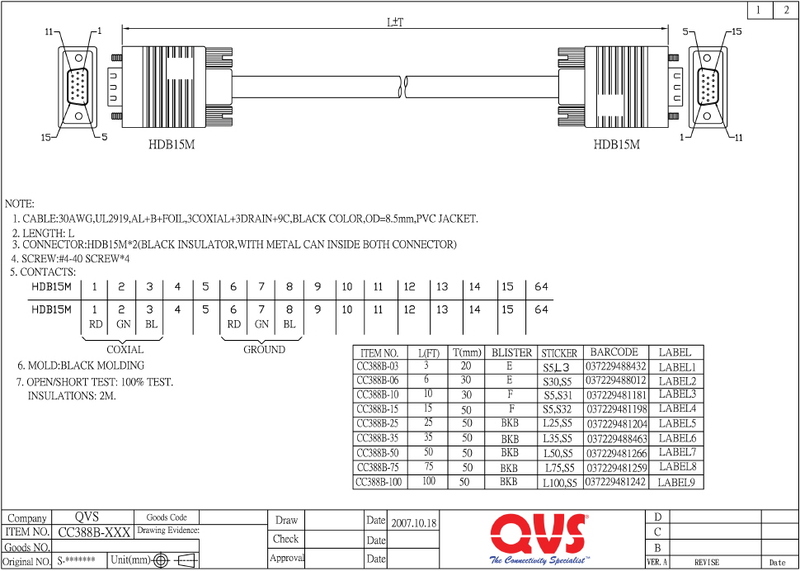 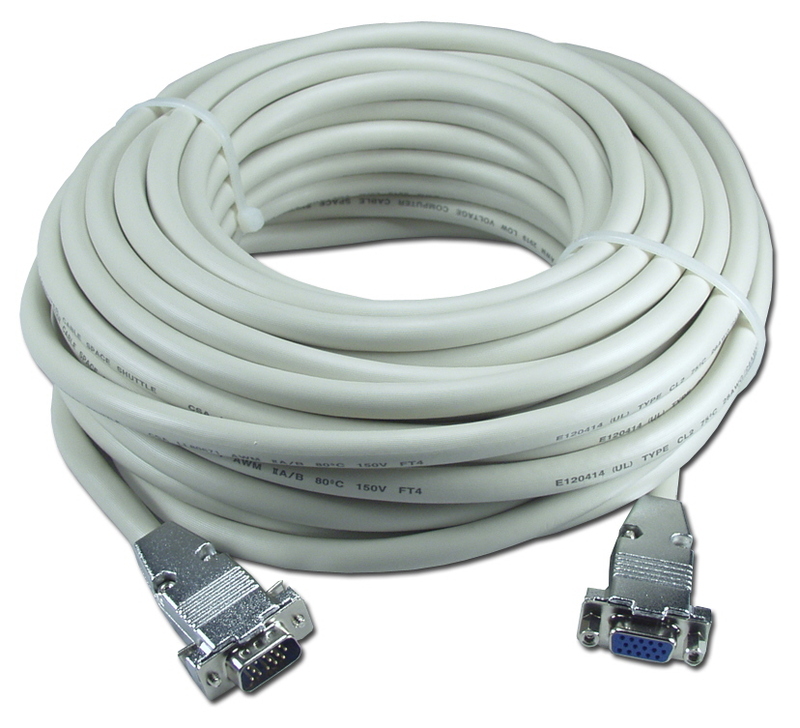 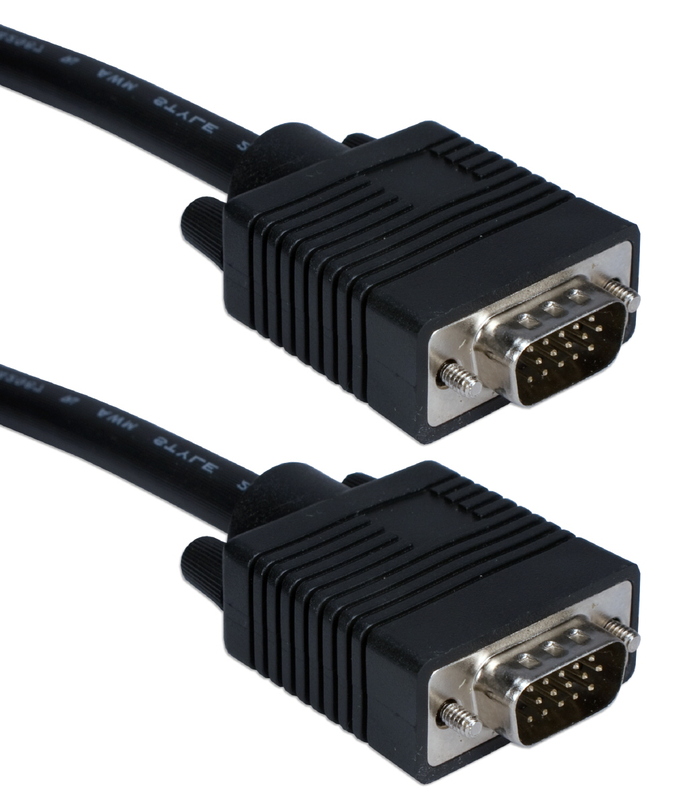 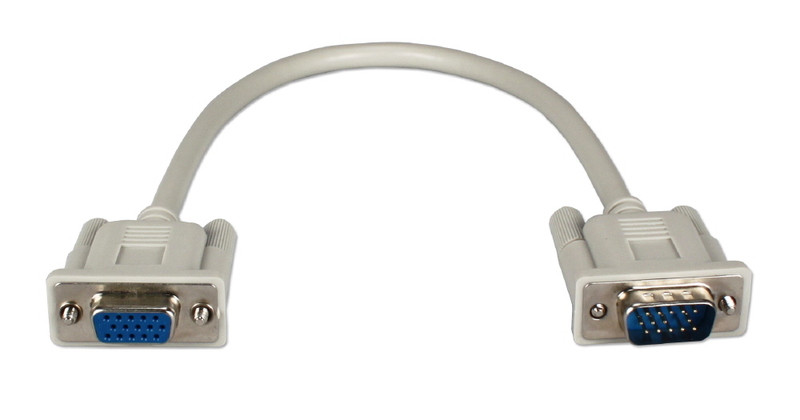 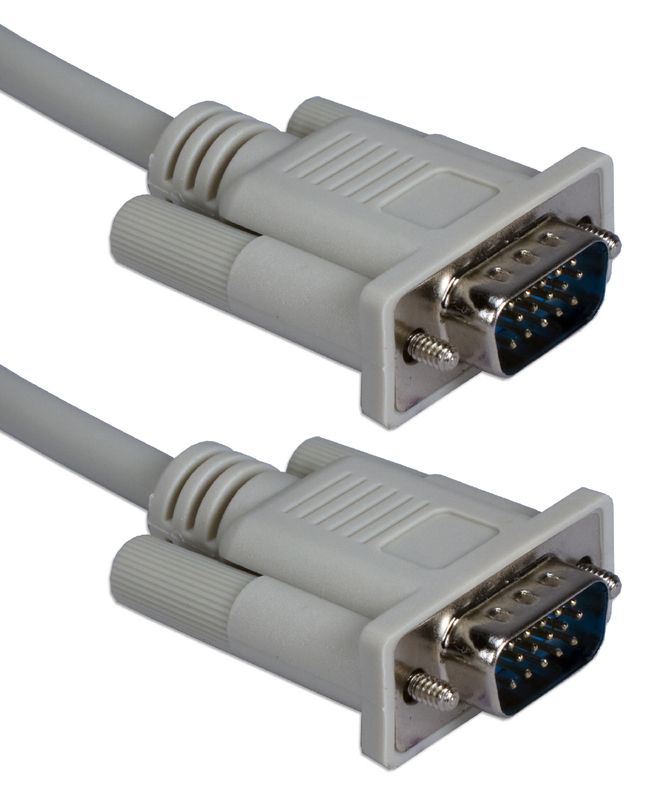 Connects any VGA/QXGA monitor & projector to computer, switch or distribution amplifier. 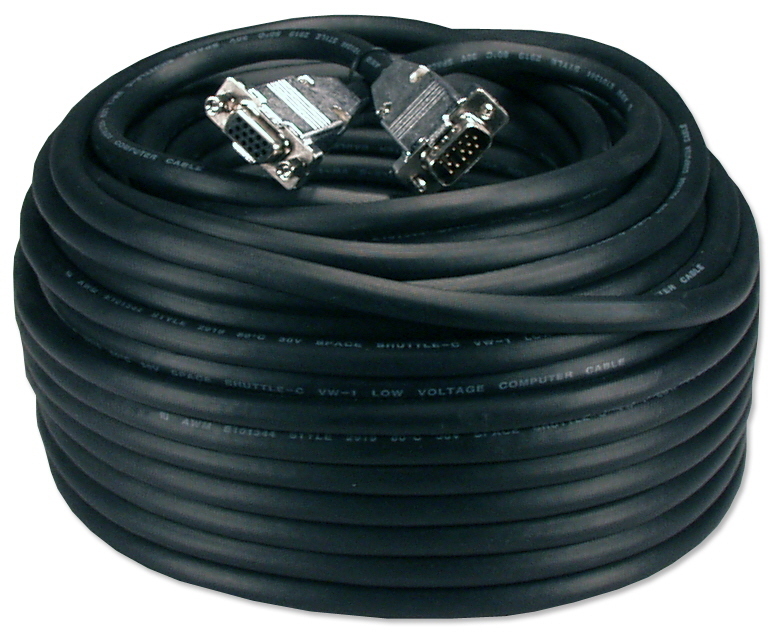 This high-performance cable uses premium grade shielded cable to extend up to 200ft without booster & distortion problem associated with long distance installation. 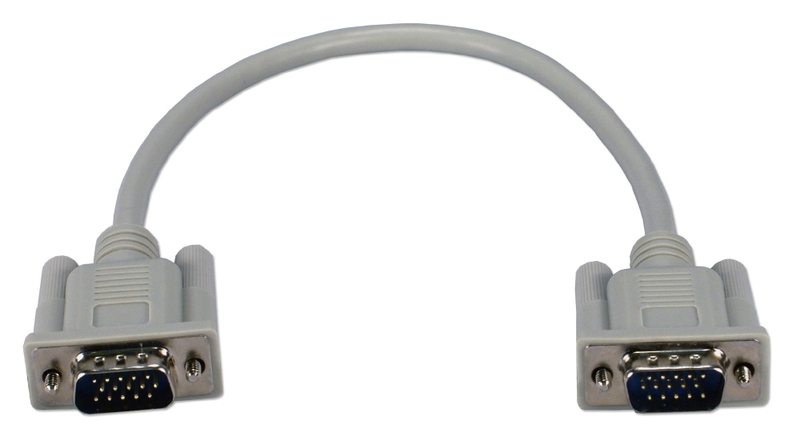 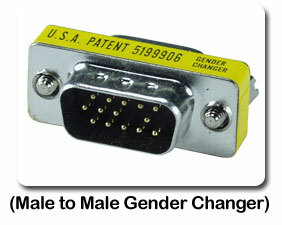 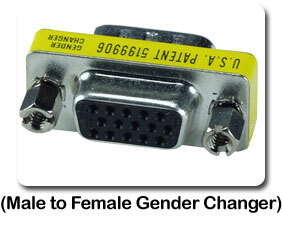 The 1ft male to female PortSaver cable is designed to save port from the wear and tear of constant plugging and unplugging. 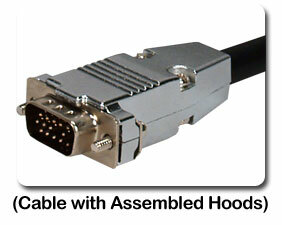 It can also be used to create room in tight space situations to prevent the blocking of ports that are close together. 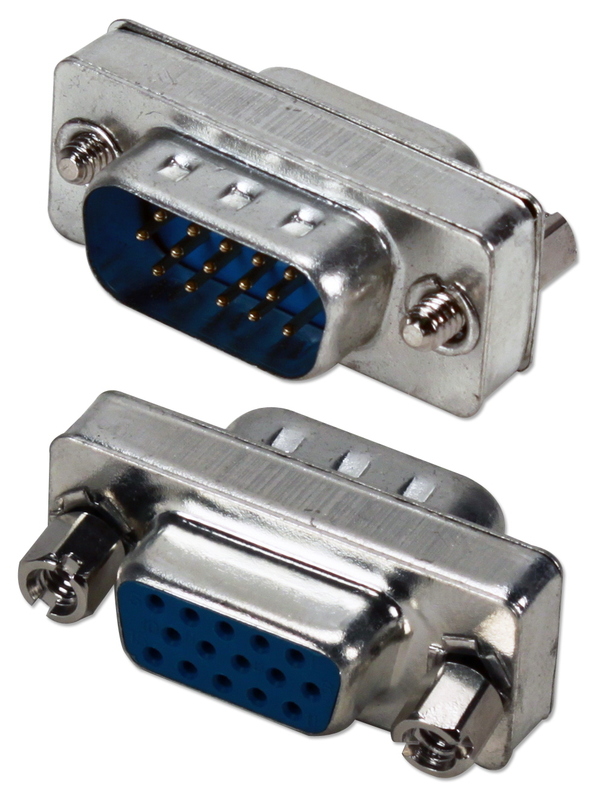 Pin #9 is pulled to provide backward compatibilty with non-DDC2 monitors. 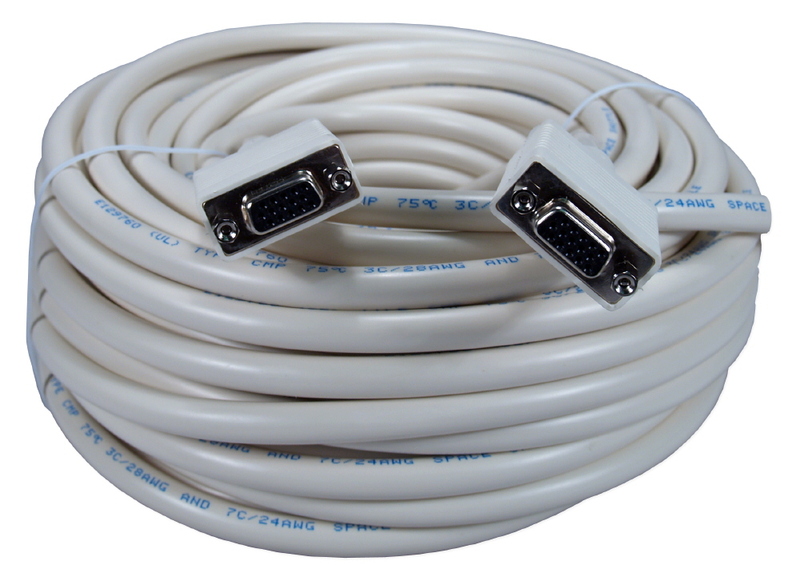 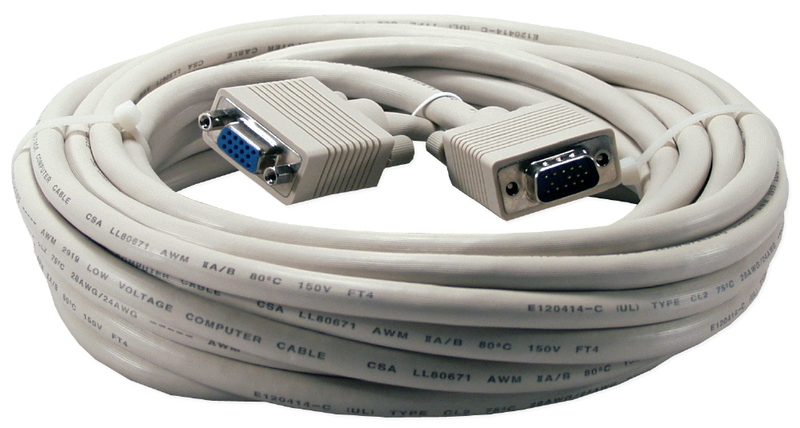 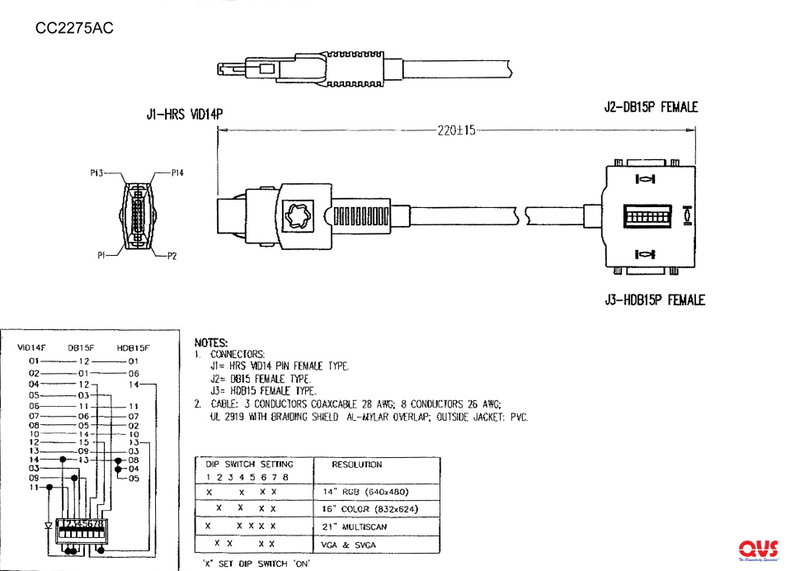 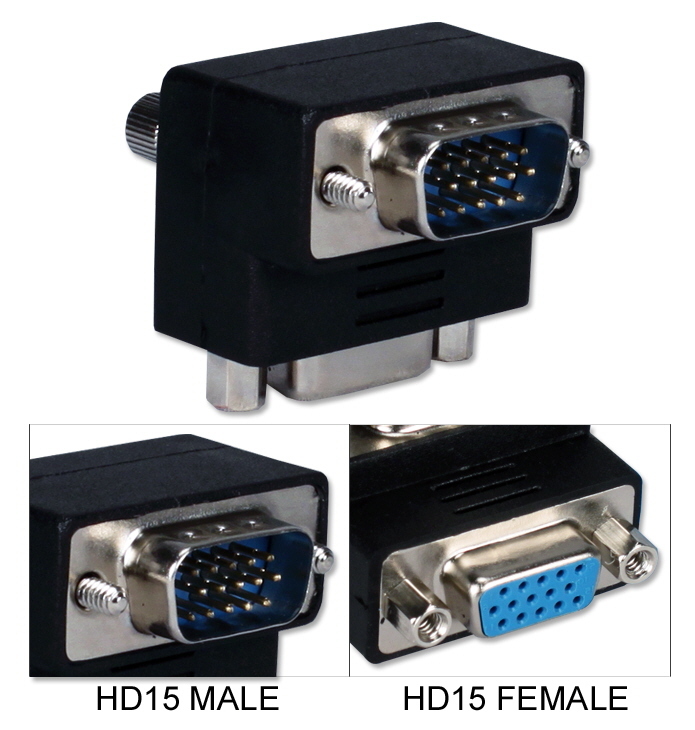 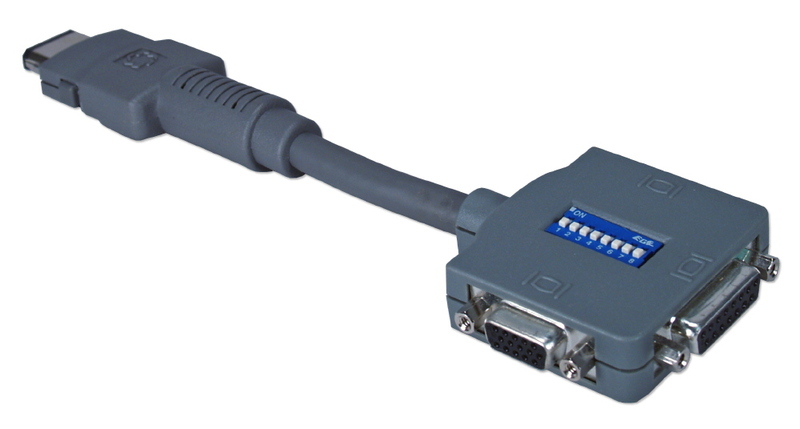 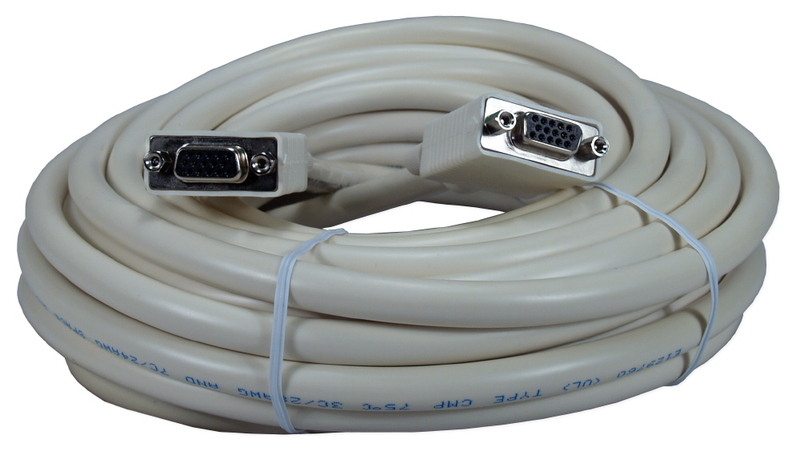 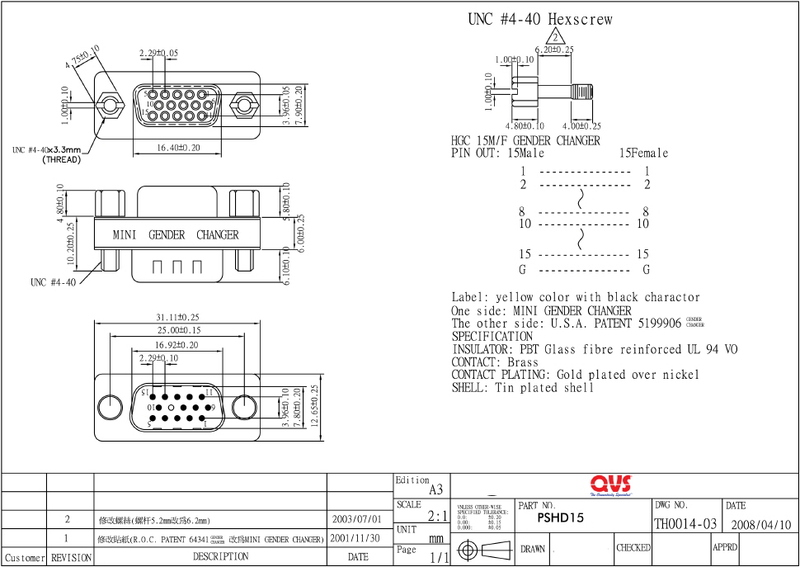 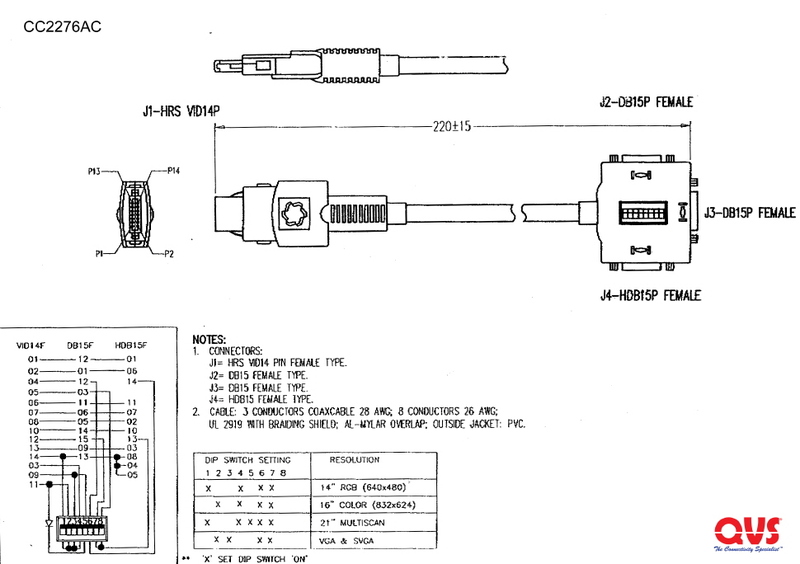 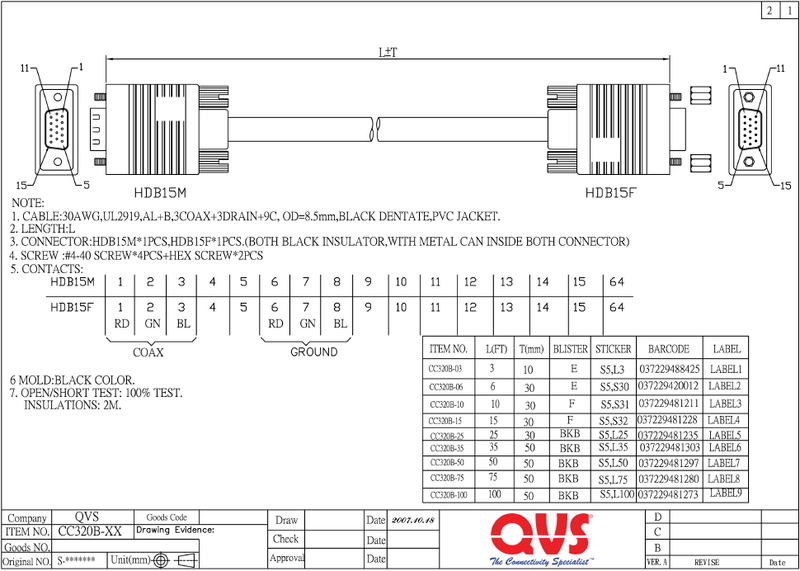 HD15 connections including VGA, SVGA, XGA & UXGA monitor ports. 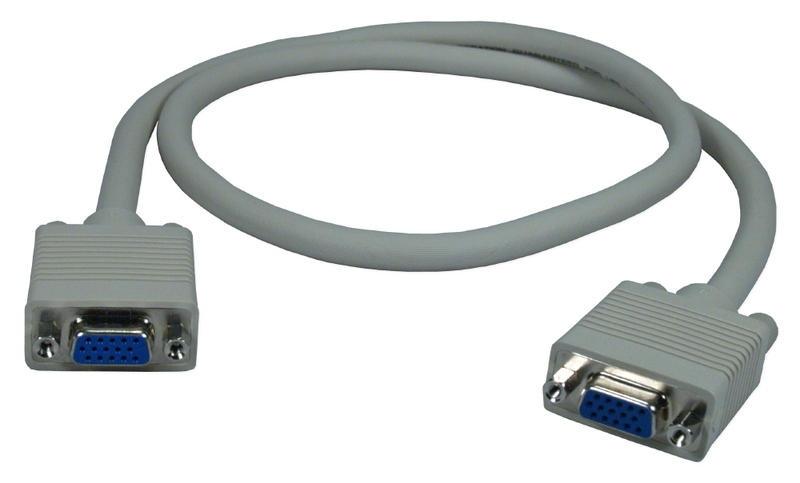 Supports all VGA applications and monitors including analog flat panel display, high resolution desktop, CAD and graphic workstations. 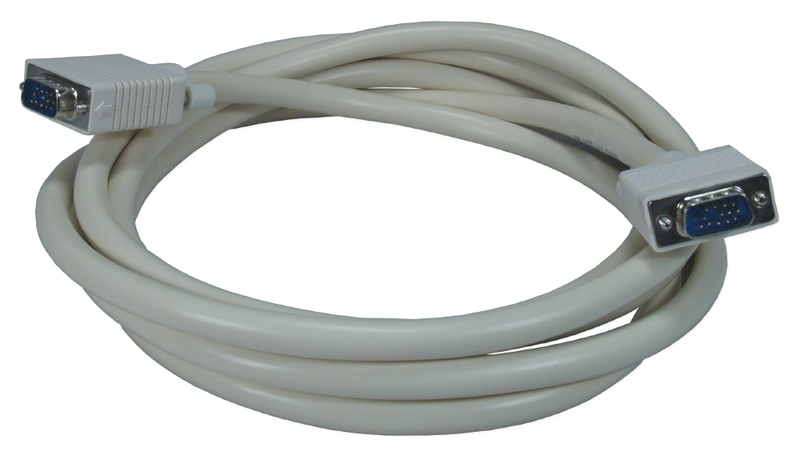 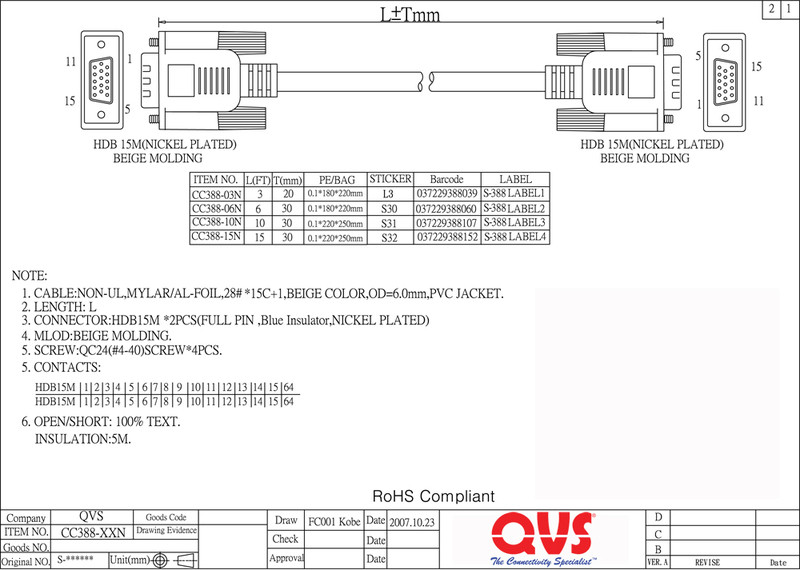 This premium Plenum with PVDF cable has triple shielding for maximum graphics performance, prevents signal loss, screen ghosting & loss of color and works up to 200ft without a signal booster. 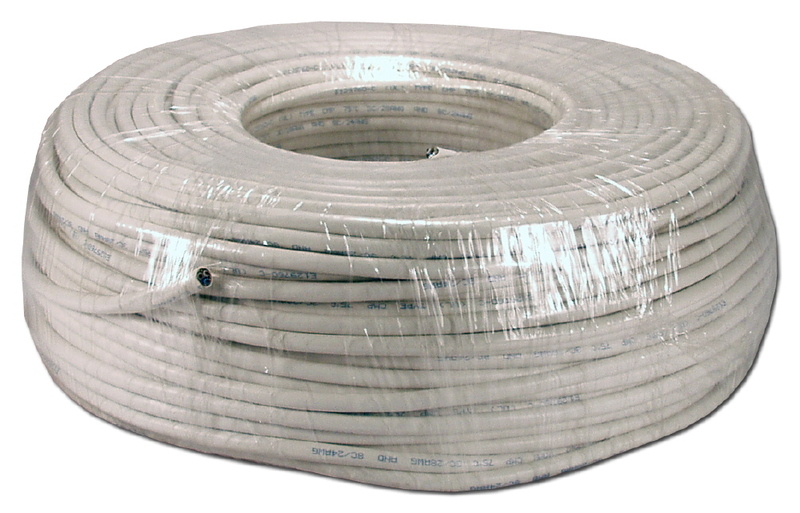 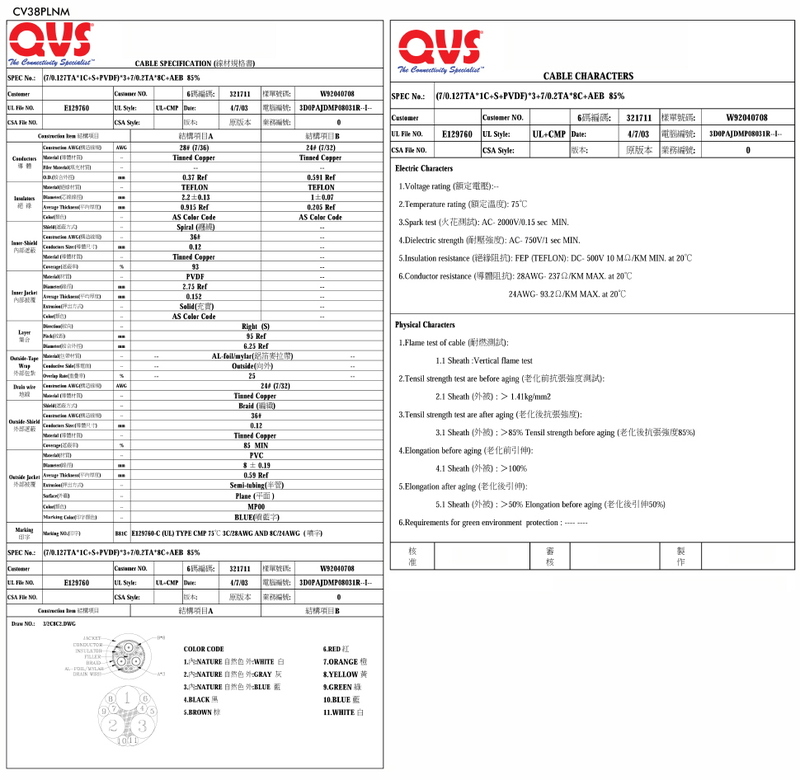 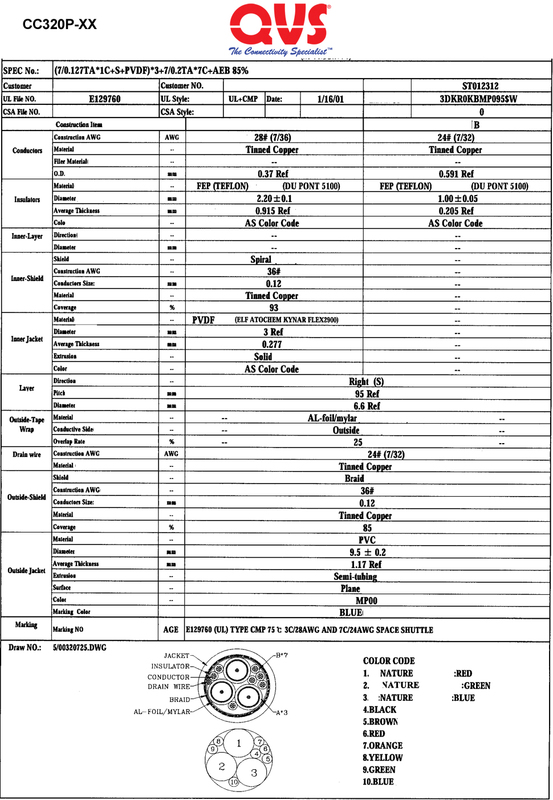 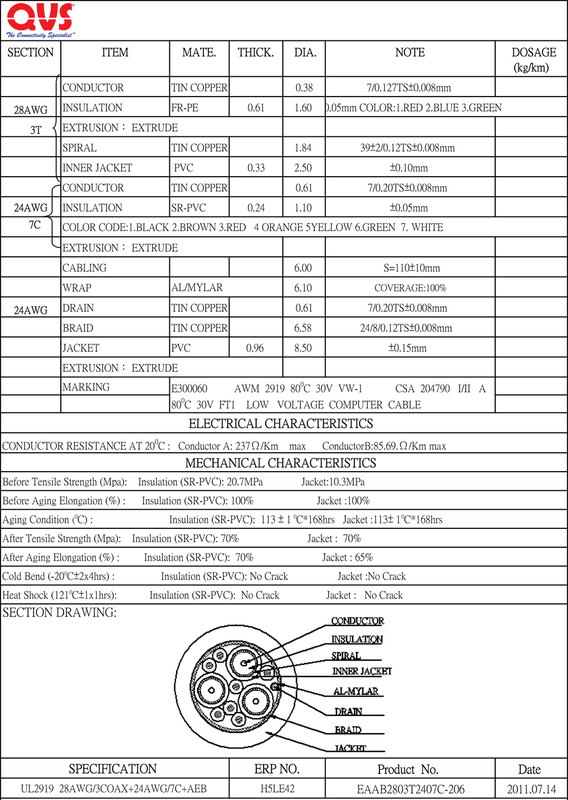 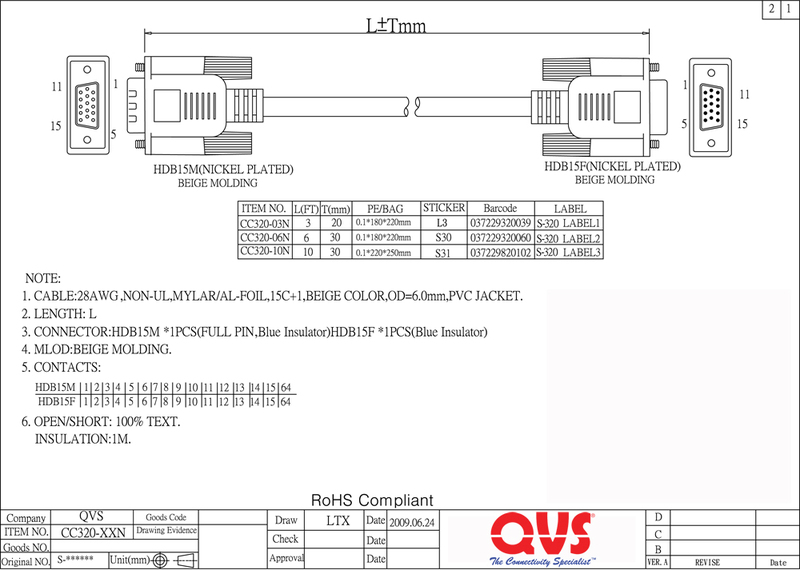 Plenum grade to meet NEC fire code requirement. 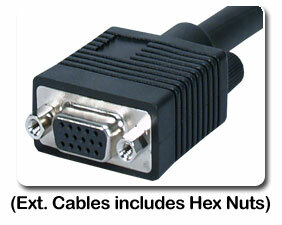 This cable has matched impedance. 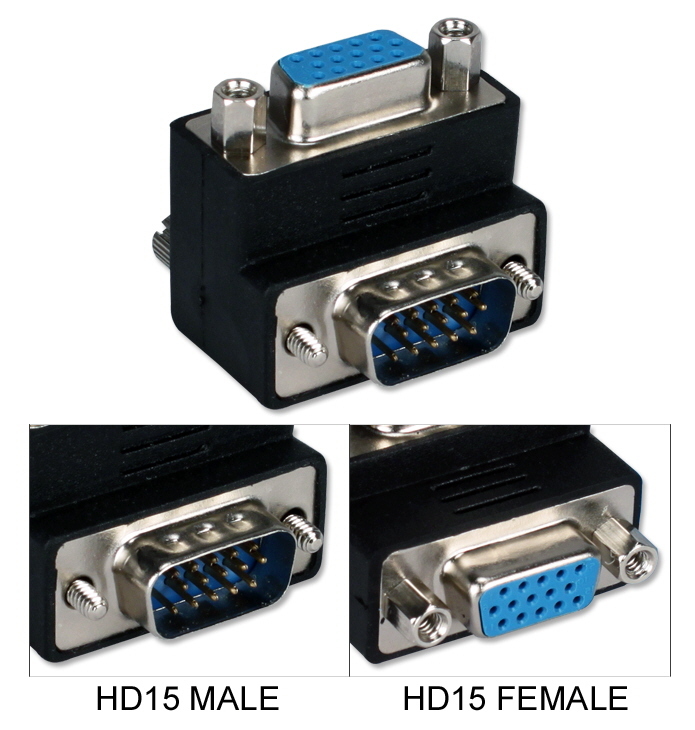 Supports all VGA applications and monitors including analog flat panel display, high resolution desktop, CAD and graphic workstations. 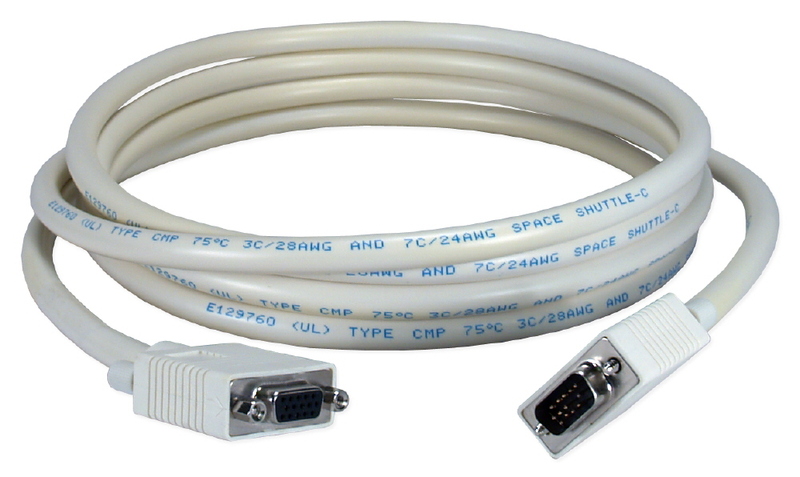 This premium PVC cable has triple shielding for maximum graphics performance, prevents signal loss, screen ghosting & loss of color and works up to 150ft without a signal booster. This cable has matched impedance.